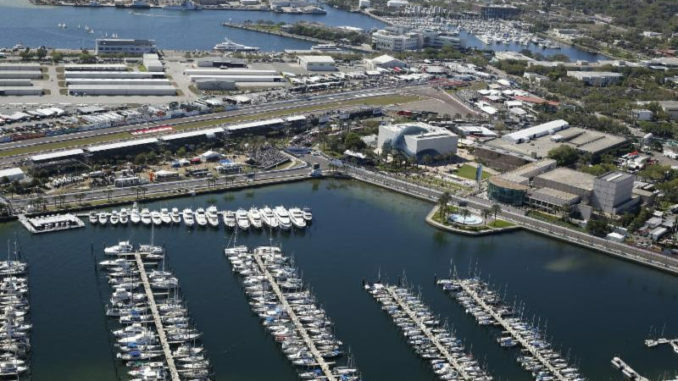 ST PETERSBURG, Fla. (February 13, 2018) – Track construction has begun on the picturesque 1.8-mile, 14-turn temporary circuit on the waterfront in downtown St. Petersburg. 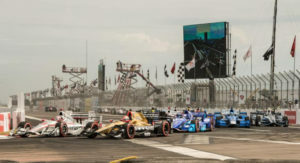 The final racing layout for the 14th Annual Firestone Grand Prix of St. Petersburg, March 9-11, will again feature six left and eight right turns running in a clockwise direction. The commencement of the race track build was highlighted by a visit today from Team Penske’s Verizon IndyCar Series driver Will Power. 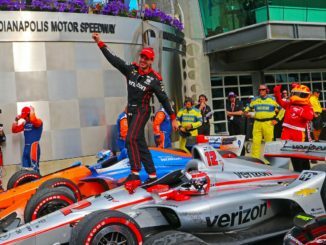 No one has been faster on this track as Power has claimed seven of the last eight pole positions during qualifying for the Firestone Grand Prix of St. Petersburg. In total, 18,000 feet of steel reinforced concrete block will be positioned resulting in more than 20 million pounds of concrete being moved. 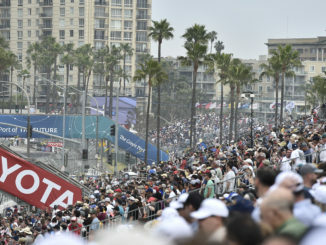 Lining the track is 22,000 feet of chain linked fencing with a steel cable reinforcement system. Over 12,000 tires are used to build the track’s tire wall safety system. Seven grandstands for spectators and four bridges for infield access are constructed. Track tear down will begin immediately upon conclusion of racing activity on Sunday, March 11. The removal of all supplies and equipment is completed within two weeks. Single day tickets start as low as $20 for Friday, $35 for Saturday and $50 for Sunday. A weekend General Admission ticket offers the best value at just $55. 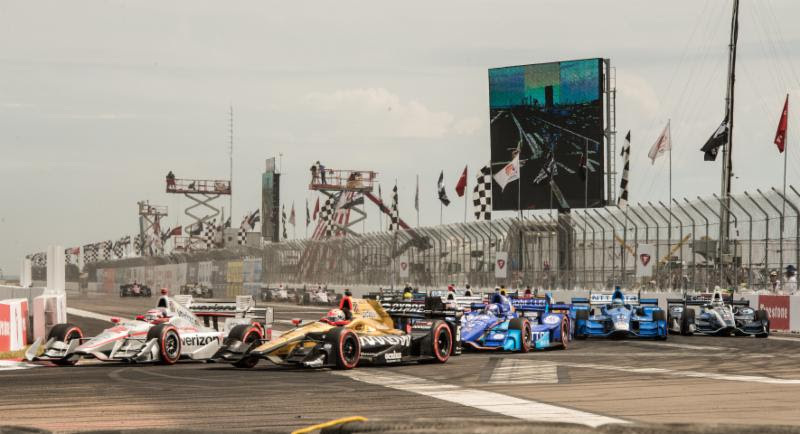 A single day Reserved Seat is available for $100 in upper rows and $75 in lower rows, while a three-day Weekend Reserved Seat is $135 in upper rows and $105 in lower rows. Junior pricing is available for ages 12 and under. 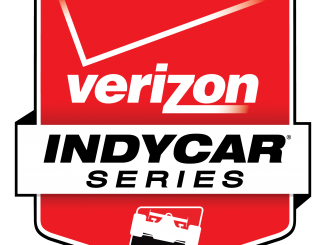 For full pricing information and to buy tickets, visit gpstpete.com or call 877-725-8849.